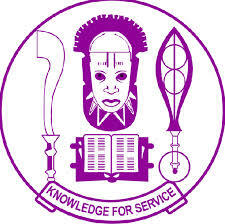 THIS is one reason why Dailyschoolnews.com.ng is one of the best educational news website in Nigeria, and today, we will be giving you in details, the important dates, history and official logo of the University of Benin (Uniben). According to history, the University of Benin was founded in 1970. It started as an Institute of Technology and was accorded the status of a full-fledged University by the Nigeria “National Universities Commission” (NUC) on the 1st of July in the 1971. This accordance was done by the governor, in his Budget Speech in April 1972, the then Military Governor of Mid-Western State, Col. S. O. Ogbemudia formally announced the change of the name of the Institute of Technology from an Institute of Technology to the University of Benin (uniben). On the 1st of April 1975, the University at the request of the State Government, was taken over by the Federal Government and became a Federal University of the federal republic of Nigeria. Today, the University has continued to grow from strength to strength with huge number of Faculties, Departments, Institutes and Units.Following NUC’s directives, the University experimented with the Collegiate System in 1991/92 and 1992/93. Although in the light of new developments, the University of Benin has reverted to the Faculty System except for the following: Schools of Medicine, Dentistry, Basic Medical Sciences, Institute of Child Health, which reverted to the Collegiate System in August, 1999, with a Provost as its administrative head. The following faculties are presently constituted are: Agriculture, Arts, Education, Engineering, Law, Life Science, Pharmacy, Physical Science, Social Science, College of Medical Sciences (which has three Schools: Basic Medical Sciences; Dentistry and Medicine; and the Institute of Child Health). Please do share this information with your friends on facebook, twitter and Google+, using the share buttons below.